Rejuvenate and condition your grass with the Alstrong Auctus. Its unique design allows 5 operations to be completed in one pass. The fully adjustable, individually sprung levelling boards scarify and scratch the surface removing dead material while exposing soil patches for re-seeding. The drum repairs poached soil and surface damage. 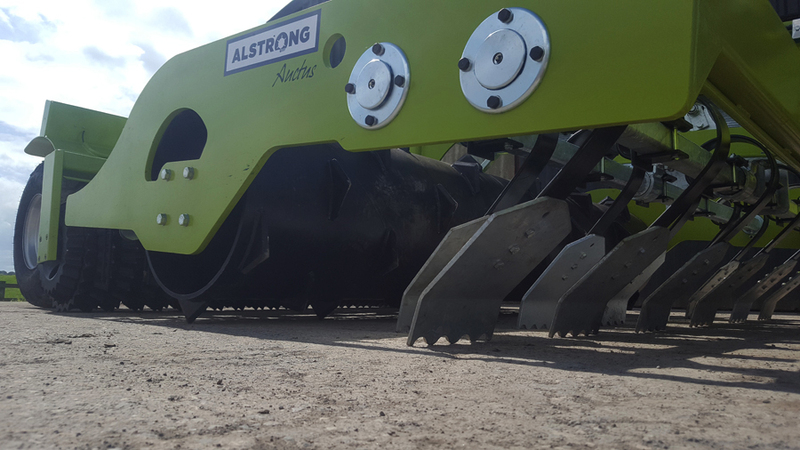 The blades fitted to the drum aerate the root zone allowing air and water to penetrate faster encouraging growth. 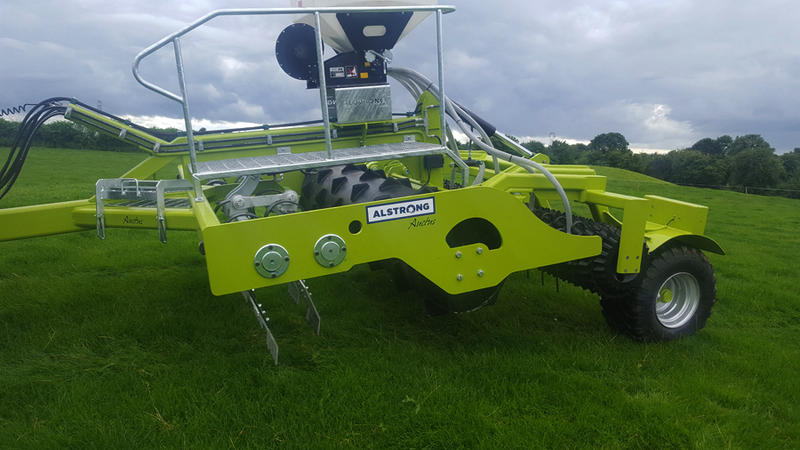 Air-seeder applies grass seed/clover in an accurate and even fashion. Two rows of grass harrow tines aid soil to seed contact while stimulating and further conditioning the grass. 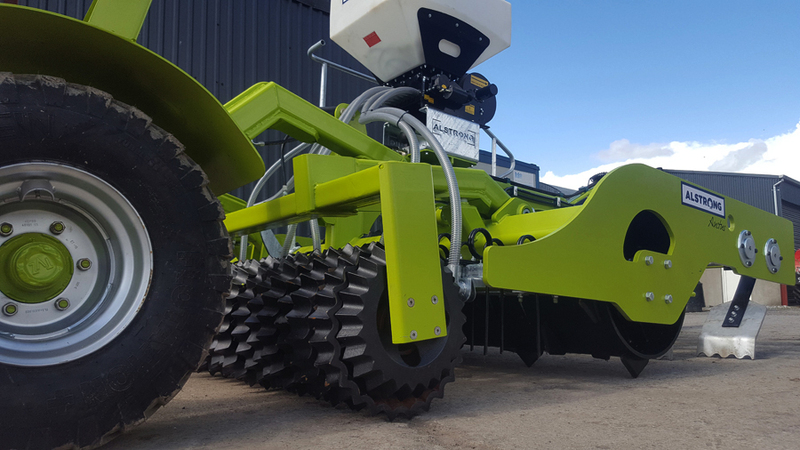 The prismatic ring roller ensures good seed-soil contact and leaves the perfect finish.